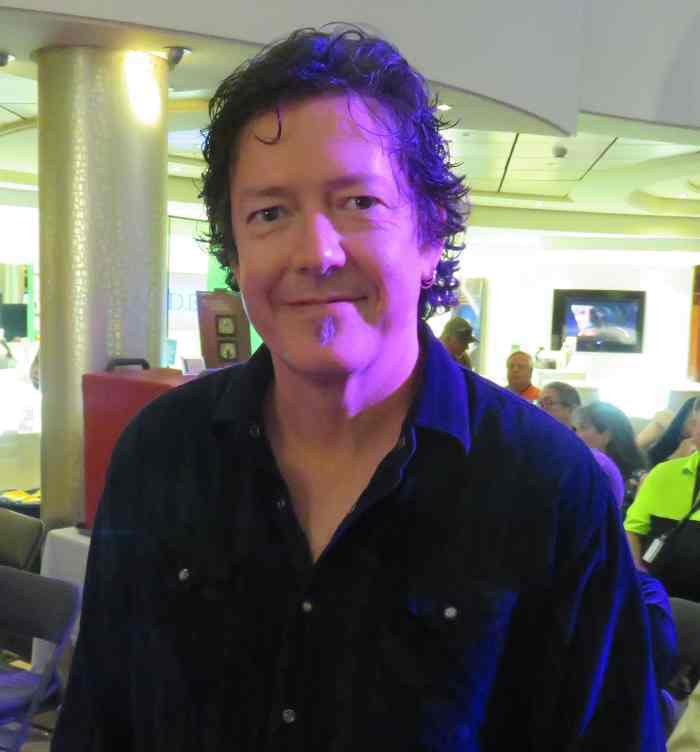 The 2019 Southern Rock Cruise took place Jan. 6-12 aboard the Norwegian Cruise Line ship Pearl as she sailed from Tampa, FL with stops in Cozumel and Progreso, Mexico. 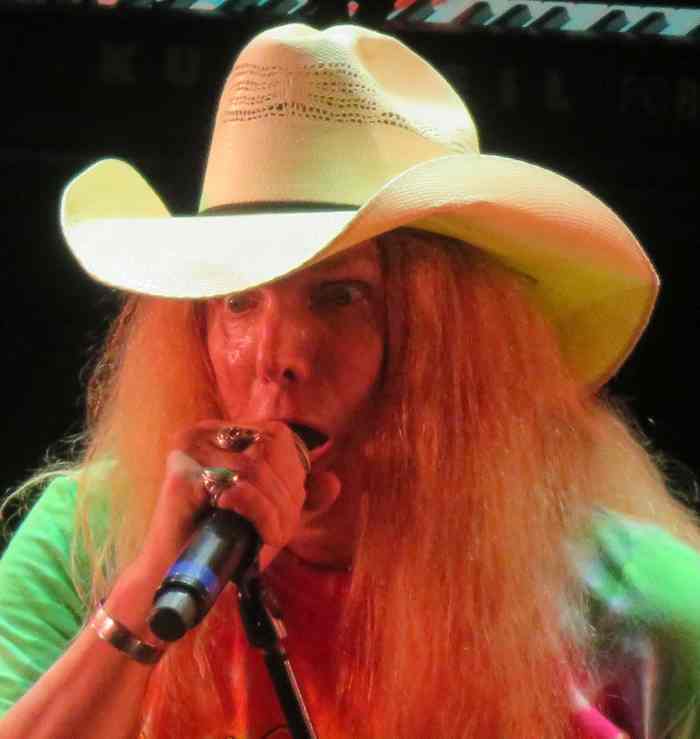 The event was a great way to start the year for fans of Southern rock, considering that some of the biggest names of the genre performed during the cruise: Molly Hatchet, the Atlanta Rhythm Section, the Marshall Tucker Band, Jimmy Hall of Wet Willie, the Kentucky Headhunters, and the biggest name of all, Lynyrd Skynyrd. 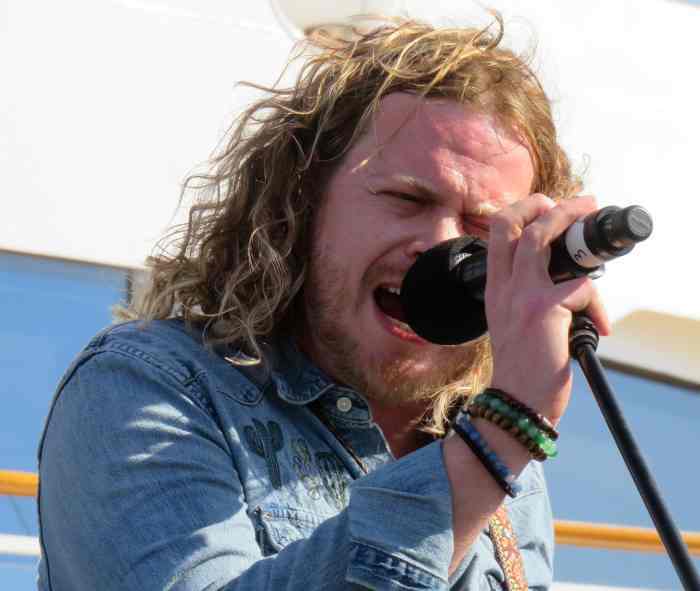 Besides being loaded up with a great roster of classic Southern rock bands, the Southern Rock Cruise also featured a bunch of contemporary performers working in the genre or on the fringe of the genre. Passengers on the Pearl enjoyed shows by the Curt Towne Band, Striking Matches, Blackberry Smoke, Preacher Stone, Michelle Malone and Drag the River, Black Stone Cherry, Heather Luttrell and the Possum Den, Brother Hawk, Johnny Neel, Bishop Gunn, the Steel Woods, Jonell Mosser, the Cowboy Poets, Kyle Daniel, Hal Bruce and Jive Mother Mary. Perhaps no performers better represented the melding of the new and old guards of Southern rock than Devon Allman and Duane Betts. 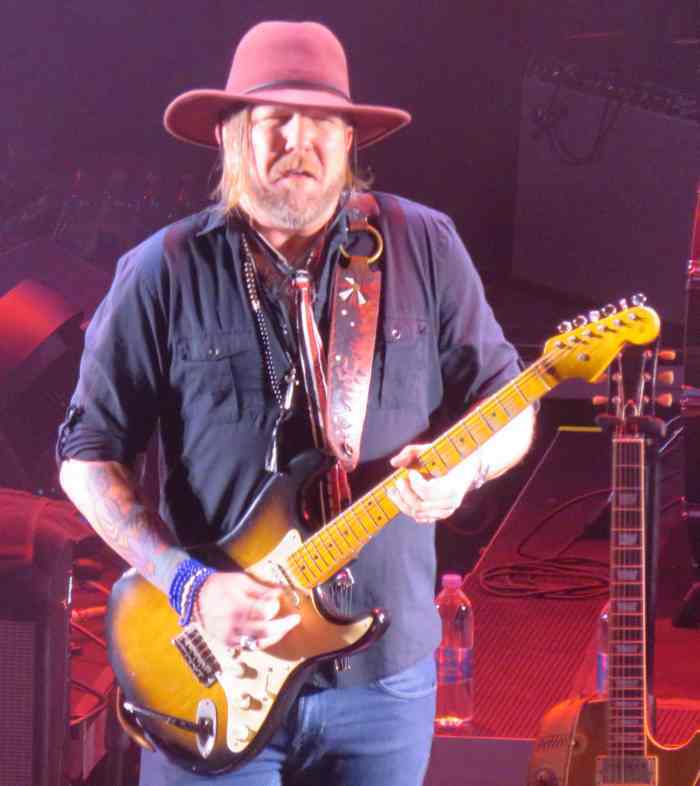 Devon Allman is the son of the late Gregg Allman, and Duane Betts is the son of Dickey Betts, Gregg's partner in the Allman Brothers Band for so many years. 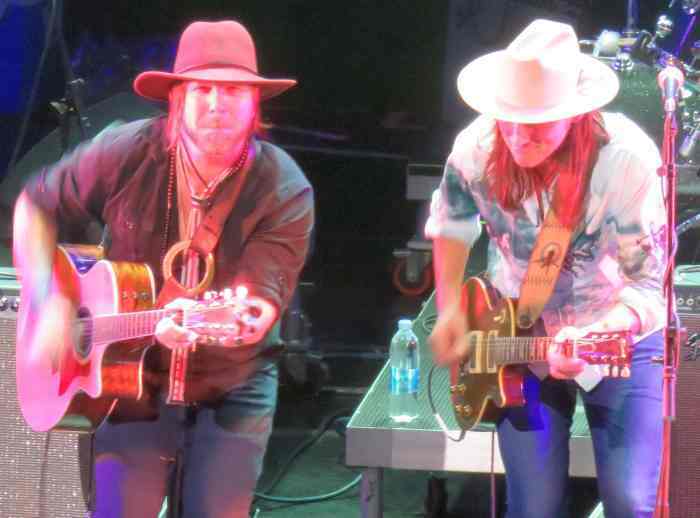 For the Southern Rock Cruise, Devon and Duane performed as The Devon Allman Project with Duane Betts, and paid direct homage to their heritage with takes on Allman Brothers Band favorites "Sweet Melissa," "Blue Sky" which Duane dedicated to his dad, and the instrumental "In Memory of Elizabeth Reed." "Taking Time," a cut from Duane's 2018 debut EP Sketches of American Music was played, and so were a couple of covers; Devon's funky interpretation of the Motown classic "I'll Be There," which made for a good sing-along, and the Grateful Dead chestnut "Friend of the Devil." The news was already out there, but Allman announced that he and Betts would be releasing an album as the Allman Betts Band later this year, and they previewed new songs from the album "All Night" and "Melodies are Memories." Like the Allman Brothers Band, the Devon Allman Project utilized two percussionists; a drummer and a drummer/conga player. 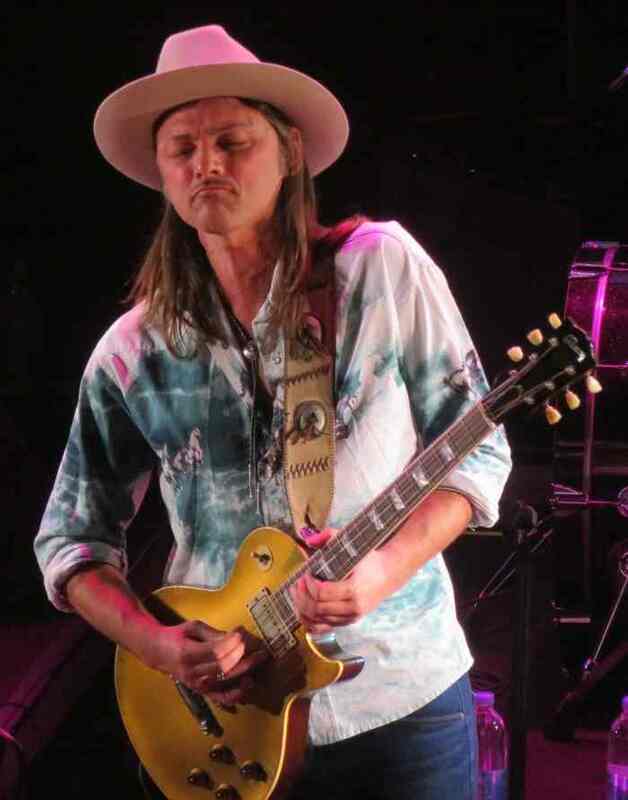 While Allman and Betts are already consummate players, Southern Rock cruisers got to see the pair perform in what would have to be considered the early stages of working together. 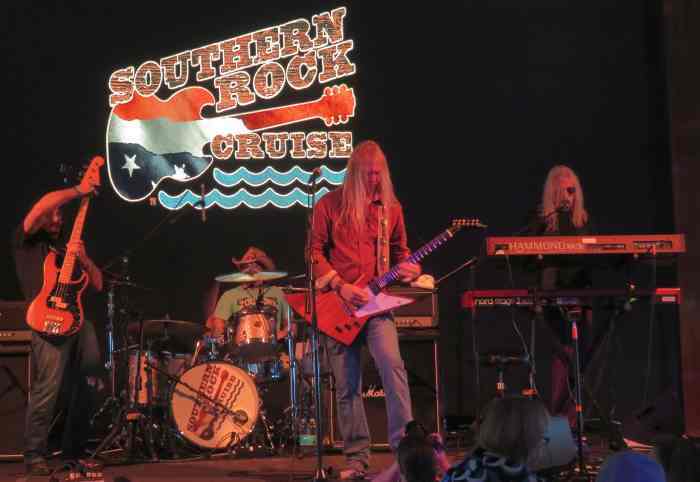 Being able to see next generation stars like Allman and Betts and classic acts like Lynyrd Skynyrd and the Marshall Tucker Band in an intimate setting is just part of what makes the Southern Rock Cruise so special. Fans also loved bumping into players constantly; in the ship's halls and shops and in the restaurants. Some fans even went ashore in Mexico with musicians, to taste tequila or swim with dolphins, and other fans got to play bar games like beer pong with band members. Live interviews were conducted while fans watched and a late night jam session set the tone for the next day's fun. It's no wonder that, as the Pearl pulled back in to Tampa, fans were already talking about booking their cabin for the next time.